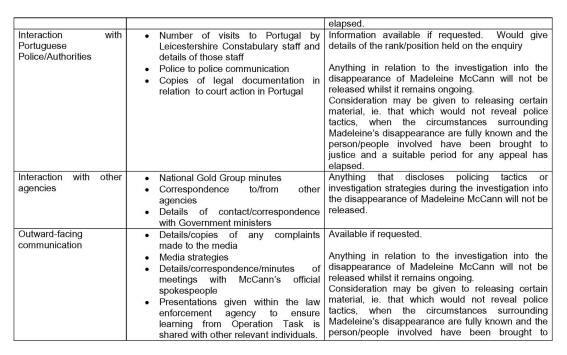 THOUSANDS of police files detailing the British involvement in the hunt for Madeleine McCann will remain secret until her kidnappers are brought to justice, it emerged yesterday. Leicestershire Police said it would not discuss their role in co-ordinating the search for the youngster who vanished from a holiday apartment in Portugal in May 2007. 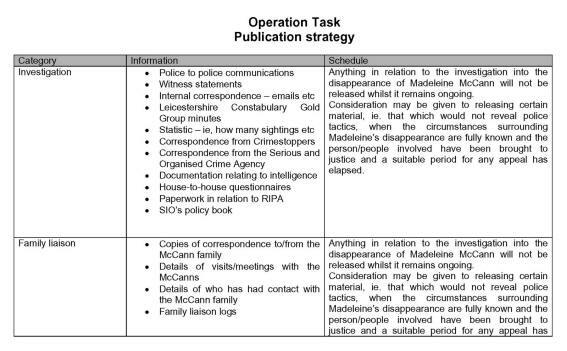 Their paperwork includes correspondence with ministers, details of leads and sightings as well as copies of letters from the McCann family. 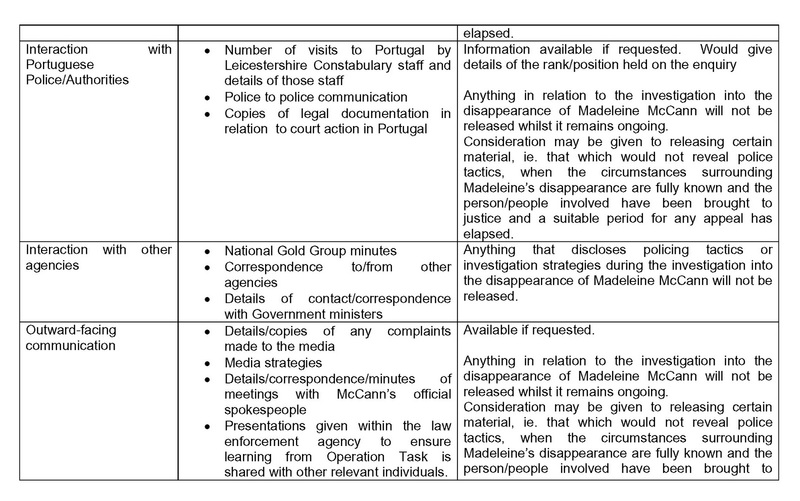 Details of the Portuguese inquiry were released last year after the investigation was shelved. 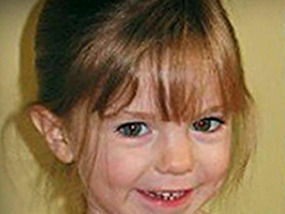 Madeleine, from Rothley, Leicestershire, disappeared from Praia da Luz nine days before her fourth birthday. 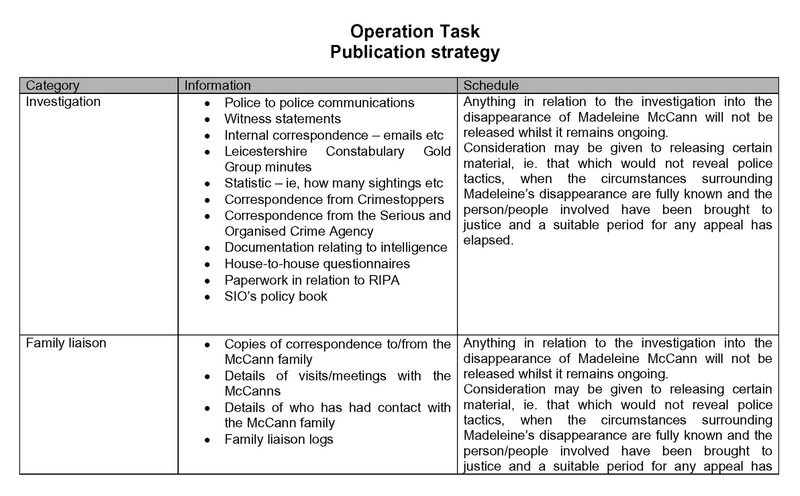 Last night the McCanns? 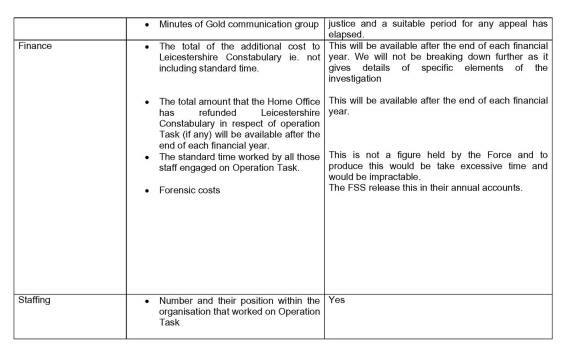 spokesman said: ?Kate and Gerry have always been very grateful for the amount of time, effort and resources Leicestershire Police have taken to search for Madeleine. ?Their private investigators continue to have a good relationship with them as the search goes on. ?